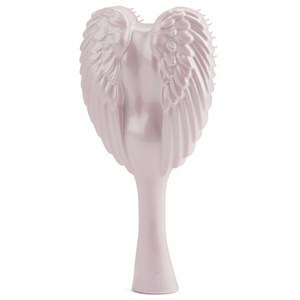 Boasting a beautiful and innovative design, the Tangle Angel Brush - Pink is a godsend for knotted hair. The flexible de-tangling bristles glide through your locks to leave your hair soft, smooth and easy to manage. With anti-static and anti-bacterial properties, the brush can be held either around the wings for greater control and feel, or by the handle for everyday combing. Heat-resistant for use when drying or straightening, this intricately-designed brush combines elegance with functionality to bring you the ultimate tangle-fighting tool. - L.M. it's lovely. pink pink pink. and it's easyier to use than the normal one.I love it. This is for my collegue.She loves a lot.Her hair is soft and thin.This brush is more beautiful than the picture. This brush looks so girly and works very well! I can do my curly hair very quick and great!love it! 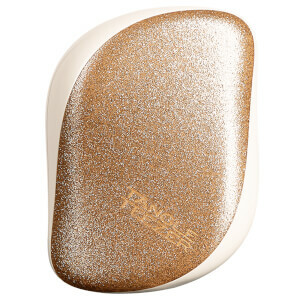 The brush is generally quite good, but i like tangle teezer better because it is easier to carry. really amazing one. And it's the best gift for my friends. I bought 4 brushes and have received them. They are very nice!!! They are easy to use and my friends and I love them very much. Thanks!!! Very good product.After using hair drops significantly reduced.I recommend to use other friends, they feel very good.I think we will buy again. apart from extremely slow shipping time, this brush is the best brush ever in my life. 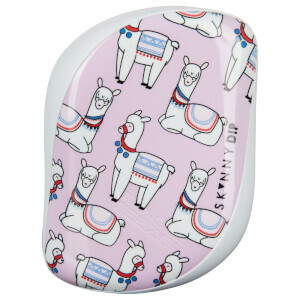 very good looking, no falling hair, every easy to brush long hair. but when I received the goods, the package is been squashed and broken, lucky it was not cosmetic inside. It's good to use, and much easier than Tangle Tweezer.